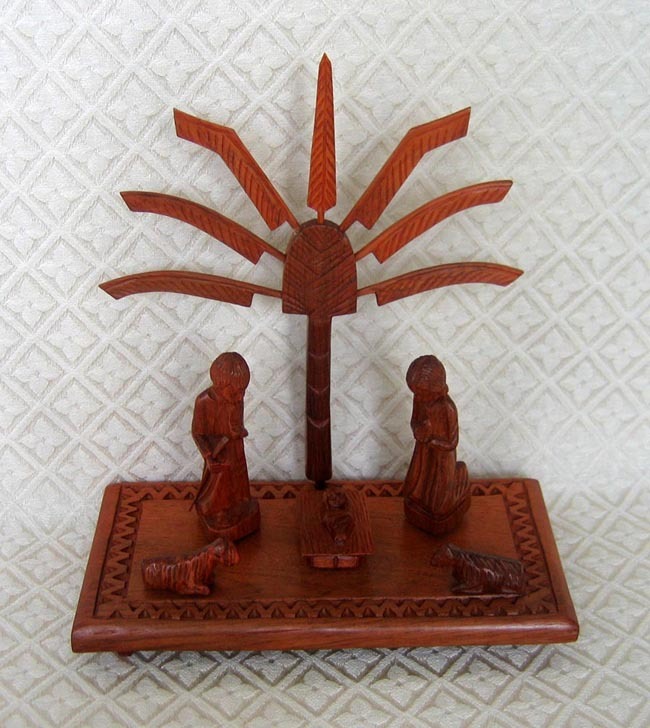 This Nativity scene from the island of Madagascar contains Joseph, Mary, Baby Jesus and two lambs, with a Traveler’s Palm (native to Madagascar) behind them. The pieces have pegs that fit into a wood platform. All pieces are carved from palisander wood, which is from the rosewood family. Palisander is very hard and contains a natural oil as found in rosewood. The tree measures 8.5 inches high and the platform is 7 inches long by 4 inches wide.